With cherries still going strong and watermelon coming in off the fields this salad is perfect for a late summer picnic. Adjust the vinegar and sugar to find the balance between sweet and tart. 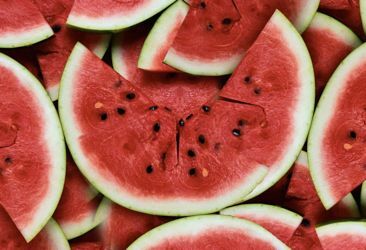 Mix watermelon, cherries, sugar and vinegar in a large bowl, tossing lightly to coat, but avoid bruising the watermelon. Taste and adjust between sweetness of sugar and tartness of vinegar. Depending on the sugars of the fruit you may need to add more sugar. Lightly toss in herbs and mix in arugula or salad mix.